Jobu Reviews the Yankees series win against their division rivals, the Tampa Bay Rays. Apologies for the tardiness of this post, but that’s par for the course when I attend one of the games I’m supposed to be home writing about (I’m selfish like that). Anyway… I think partially due to the new playoff system, where winning the division actually matters, and the way the Rays smacked the Yankees around to open the season, this early May series seemed to have a lot of importance to me, and I’d like to think to the teams playing too. The Tampa Bay Rays came to town looking to push the Yankees further down in the standings, and the Yankees were looking for their revenge. We ended up getting a very good series out of it, with hard-fought games and emotions running high in a 2-1 Yankees series win. Going into game one, you knew the Yankees would want to make a big statement. They wanted to show the Rays that things would not be the cake walk they were in the season opening series, and I think they did just that. Good pitching, timely hitting, and the ushering in of a new era of relief (a shaky one, but an ushering none the less) helped the Yankees to win this game 5-3. Nova took the mound for the first time since losing his first game since last June, and made sure he didn’t make it two in a row. Right from the beginning he looked crisp, and easily pitched his best outing of the season, despite Joe Girardi’s attempts to leave him in too long so he could blow it (take that, Joe!). Nova had a relatively easy outing, and he didn’t allow a run until José Molina hit an 0-2 mistake over the left-centerfield fence for a home run in the sixth, but he ran into quite a bit of trouble in his last inning. To his credit, he hung tough and got out of it. Matt Joyce flew out to right to open the frame before Luke Scott’s beard hit one over the right-centerfield fence to make it a 3-2 game. The next batter, Jeff Keppinger (Kepp!) walked and Will Rhymes (sometimes he rhymes slow, sometimes he rhymes quick, rest in peace MCA) doubled to put runners on second and third with only one out, and that’s when Nova showed his mettle. Sean Rodríguez flew out to right, and a good throw by Nick Swisher held Keppinger at third. Nova followed that with a big strikeout of Molina, and the inning was over. Nova’s final line: 7 IP, 6 hits, 2 BB, 8Ks on 93 pitches, and one big W. Some would say Girardi could have gone to the bullpen for the last two outs, but Girardi hung with Nova, and it paid off. 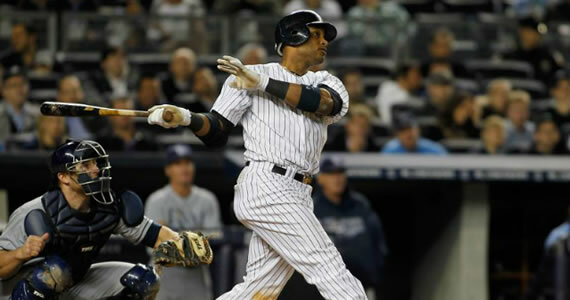 Nothing made me miss Mariano more than the top of the ninth inning, when “Houdini” went to work. Things started innocently enough, with a soft grounder to second base by Keppinger. Rhymes walked and Rodríguez singled to make things interesting, but Robertson bounced back to strike out Brandon Allen for the second out. Because he loves the bases loaded, Robertson figured he’d walk Ben Zobrist to bring up Carlos Peña (not on purpose), and thats when Yankees fans started to sweat a little. For the first time in seventeen years, Enter Sandman wasn’t going to play to bail out a reliever in trouble. Luckily, Robertson got ahead of Peña 0-2 before finally finishing him, and the Rays, off with a nasty fastball to the outside corner a couple of pitches later. It wasn’t pretty, but it was the first of hopefully many saves for the kid from Alabama. I was originally going to title this section I-Bomb-ñez, but riveraveblues beat me to it Tuesday night. I know my brother would want me to call it I-BAM!-ñez, but I’m fighting it. Anywho, the reason all these bams, bombs and kablams are coming up is that the 39-year-old DH hit not one, but two home runs in this game. Throw in a homer by Curtis Granderson, and an RBI double by Mark Teixeira took care of the five Yankees runs. Ibañez’s first home run was on a hanging changeup by James “Big Game” Shields, and gave the Yankees a 2-0 lead in the bottom of the fourth inning. Granderson hit a home run after a ten pitch at bat in the bottom of the fifth to give the Yankees a 3-0 lead. After the Rays pulled it to 3-2, Ibañez came up again in the bottom of the seventh and hit a bomb off the foul pole near the upper deck to make it 4-2. After the Rays again pulled it to a one run deficit, Teixeira’s double in the bottom of the eighth scored Álex Rodríguez and gave David Robertson some much-needed insurance for his first save opportunity. This game was particularly heartbreaking, mostly because I got to see it in person. The Yankees offensive shortcomings returned, but they held a 1-0 lead until the top of the ninth, when Robertson blew his first save of the season. The Yankees lost 4-1, the rains came, and I took the lonely train ride home. Don’t be alarmed, this isn’t going to be a negative post. As many rookies do in their careers, Phelps had a bit of a command issue in this game. It led to Joe Girardi pulling him after only 4.2 innings, and one out short of a potential win, but I thought he pitched great. 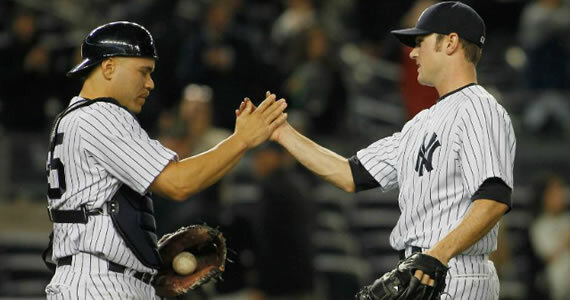 Unfortunately, he’s going to be leaving the rotation soon, because Andy Pettitte is making his season debut on Sunday. Hughes seems to be getting it together lately, so Phelps becomes the odd man out. Anyway, despite needing 89 pitches to get fourteen outs, and leaving with the bases loaded in the fifth, Phelpsy managed to not give up a run to the Rays (thanks to Boone for striking out Joyce to end that fifth). His overall line: 4.2 innings, 3 hits, 4 BB, 3K. Not bad, David. Lets first start by commending the bullpen guys who pitched from the fifth through the eighth. Logan, Wade and Soriano. Those guys combined for 3.1 scoreless innings, and only allowed one hit while bridging the gap to the new closer, David Robertson. Unfortunately, Robertson then set fire to the bridge and danced around in the ashes. Like the night before, Robertson loaded the bases, although this time with nobody out. Sean-Rod singled, Allen doubled (bad throwing decision by Swisher) and Zobrist walked, which brought Peña up with the bases loaded against Robertson for the second straight night. For the second straight night, Robertson caught him looking at strike three. That brought up B.J. Upton, who eventually hit a hard fly-ball to Swisher in right. Rodriguez tagged from third and just beat Swish’s throw, and the game was tied. But at least it was two outs, right? As long as Robertson held the Rays here, we’d walk off in the bottom of the ninth right? RIGHT?? That damn Matt Joyce ruined everything by hitting a home run to right. This made the score 4-1 and basically ended the game. Thanks, D-Rob. That being said though, the guy hadn’t given up a run since last September. He’s not going to have a 0.00 ERA for the year. It’s probably just a normal bad couple of games and nothing to panic about, but D-Rob picked a bad time to have these bad games. It’s just going to make everyone panic. I, for one, think he’ll be ok. I just didn’t enjoy seeing that live. So, I know I’ve had a lot of these complaints lately, but the Yankees offense is really leaving a lot to be desired in key situations. In game two, they were 0-8 with runners in scoring position. 0-8! A couple of hits in those situations, and we’re not talking about Robertson’s blown save. The only Yankees run came in the bottom of the first. Jeter singled to lead the game off (because he’s God), and a couple of batters later, Canó doubled over the left fielder’s head to score him. That was it. I really can’t even write any more about their failures, but they left eight men on base. There’s no way around it. They need to start driving in these runs when they get chances, and not just relying primarily on solo home runs, or it’s gonna be a boring October. Notable Offense: RBI – Canó (9), 2 hits for A-Rod, Teixeira and Swisher… that’s all. Ah, the rubber game. After the debacle that was the end of game two, the Yankees desperately needed a win. I know it’s early, but they had to show the Rays that they could bounce back from the heartbreaker in game two, and they had to show the Rays that they could beat them in a series. Luckily, CC was on the mound. Lately, that’s a better security blanket than the Schloman’s Shield, and it worked out well on Thursday night too. After a slow start to the season, Sabathia has really hit his stride the last few outings, and he continued it against the Rays in game three. It wasn’t easy the entire game, but CC battled through eight innings for the win. It took him a season-high 119 pitches, but Sabathia was pretty brilliant. He not only won the series for the Yankees, he also gave the bullpen some much needed rest (again). The Rays got CC for two runs in the first two innings, but that was hardly his fault. In the first, CC hit Sean-Rod with one out, and then allowed a two-out single to Keppinger. He was about to get out of trouble, but Eduardo Núñez bobbled a grounder by Brandon Guyer (come on, Guyer) to load the bases and extend the inning. A Carlos Peña RBI single later, and it was 1-0 Rays. It might have been worse, but Swisher threw out Keppinger trying to score the second run. We love Swish. I’ve been waiting for Robinson Canó to put it all together all season. Not only has he been hurting the Yankees, he’s also been making it really hard for me to maintain first place in my fantasy baseball league (really? 1 HR and 4 RBI in April from my first round pick??). Over the last few days, however, Robby really seems to be putting things together. It started Sunday with the Grand Slam in KC. He’s just swinging the bat a lot better, and the power numbers are starting to show up. In game three, he singled in his first two at bats before hitting an absolute bomb over the Yankees bullpen in right-center. The homer gave the Yankees a 4-2 lead at the time, and they wouldn’t give it up. Huge. Robinson now has two HR and seven RBI in his last four games. Good stuff. There wasn’t too much else to talk about in this game, but that’s what happens when you face a guy like David Price. Price came into the game with a 5-1 record and a 2.35 ERA, so I didn’t expect much. The Yankees tied the game at two in the bottom of the second on a solo home run by Curtis Granderson (9 homers in his last 13 games) and an RBI single by Chris Stewart. One thing I’ll say about Stewart. Every time he plays he seems to do something. It’s a total bonus, and I don’t expect it to keep happening, but it sure is fun for now. The fifth Yankees run came on an RBI double by Andruw Jones in the bottom of the eighth. It was a nice little bit of extra insurance for Soriano, and so we welcome it. Overall, I was very happy with this series. 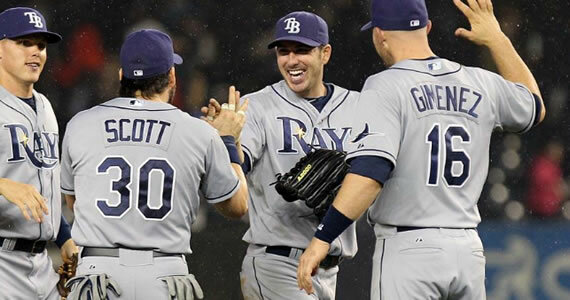 The Rays came in ahead of the Yankees in the standings, and the Yankees are now one game closer (2.5 back overall). You can’t jump over everyone in the standings in one day, so this baby step is a good start. It was also nice to see the Yankees get some solid pitching, and they really could have swept the series rather easily, if not for the blown save in game two. They settled for two wins, which is fine by me. Before we start… let’s not panic about the ninth inning situation. Robertson is one of the best relievers in the game. He had a couple of bad innings, and he blew a save. 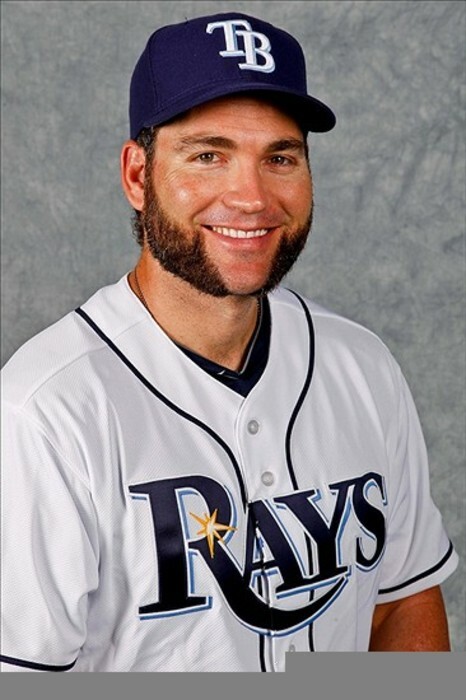 You know who also blew a save to the Rays this season? Mariano Rivera. The greatest closer the world has ever seen. Robertson is probably adjusting a little to filling Mo’s shoes, but he’s more than likely just having a bad week. You know who else had a bad week every year? Oh yes, the greatest closer of all time. Let’s give Robertson a couple of weeks before we start calling for a trade, or something ridiculous like making Soriano the closer (although, Sori has been pitching pretty well lately, and he did a great job in the ninth last night despite allowing a cheap run). The Yankees showed some muscle in this series, socking five homers in the three games, but the offense still needs help. They got some bad news before game three as well, when they found out Brett Gardner had experienced a setback during a minor league rehab assignment and will be shut down for another couple of weeks. Gardner provides some of the best defense in the league as far as left fielders go, and his 9-1 punch with Jeter really helps spark the offense (after the first turn through the order, of course), so he will continue to be missed. Hurry back, Gardy I don’t expect the Yankees to make a move to replace Gardner unless the injury causes him to miss significant time. Look for the Yankees to just patch things together by playing Ibañez, Nix or Jones until Gardy’s back.